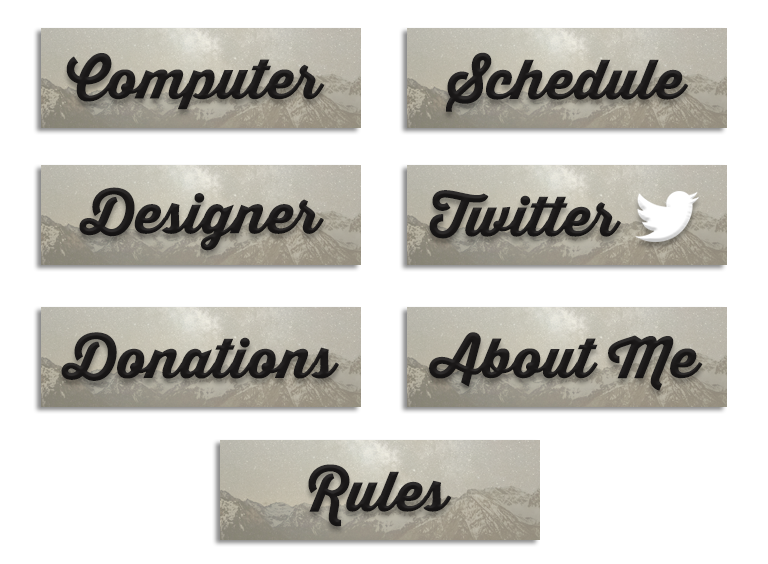 I was asked by good friend and Twitch.tv livestreamer Salvl (Sam) to brand and create overlays for his stream. He mostly plays Counter Strike: Global Offensive, and The Binding of Isaac: Rebirth. Here’s the animated welcome screen I created. This was my first time using Adobe After Effects. This plays before the livestream/when the streamer is setting things up. 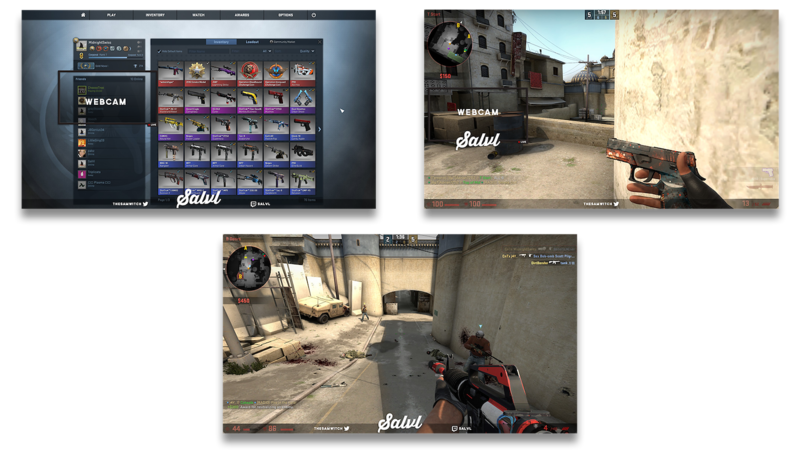 Various in game screenshots of the overlays in Counter Strike: Global Offensive. A live facecam of the livestreamer would be present where webcam text is. Click on the image to zoom in on individual thumbnails. 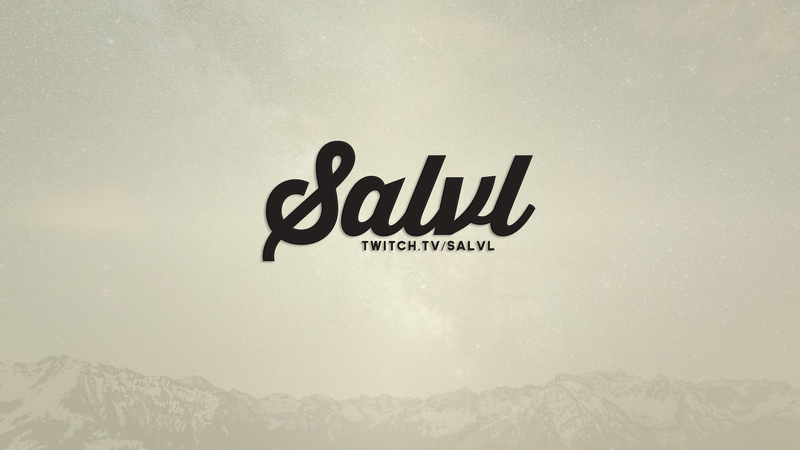 These description headers can be seen at twitch.tv/salvl below the stream. 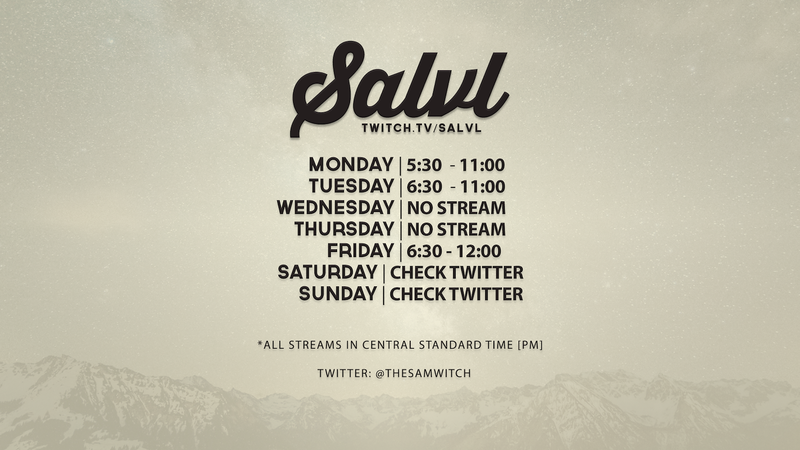 Schedule for the stream. This screen is shown when Salvl is offline.